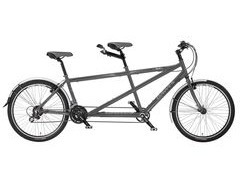 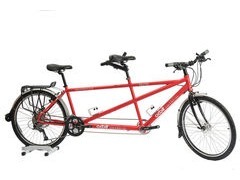 The Duet is a great value tandem created by Dawes especially for those wanting to get a taste of tandem life. 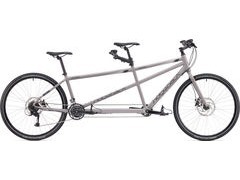 Featuring the latest design alloy frame which gives improved standover height without compromising rigidity. 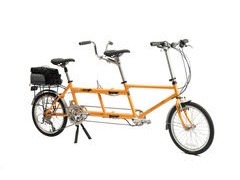 We even have a size to fit kids on the back. 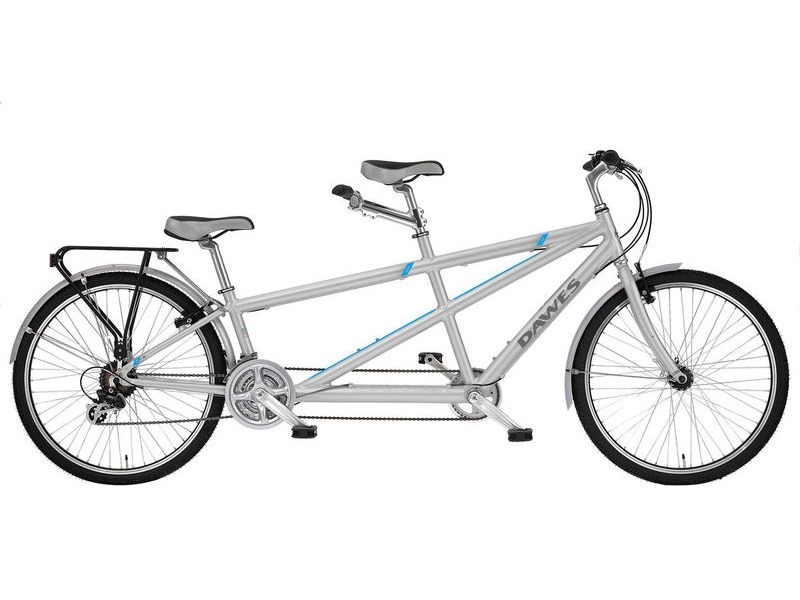 Equipped with 21 speed Shimano Revoshift gears and Tektro alloy V-brakes. 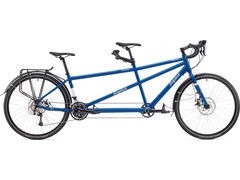 All sizes are fitted with a rear rack to give you the option of carrying luggage as well as mudguards to help keep you dry.